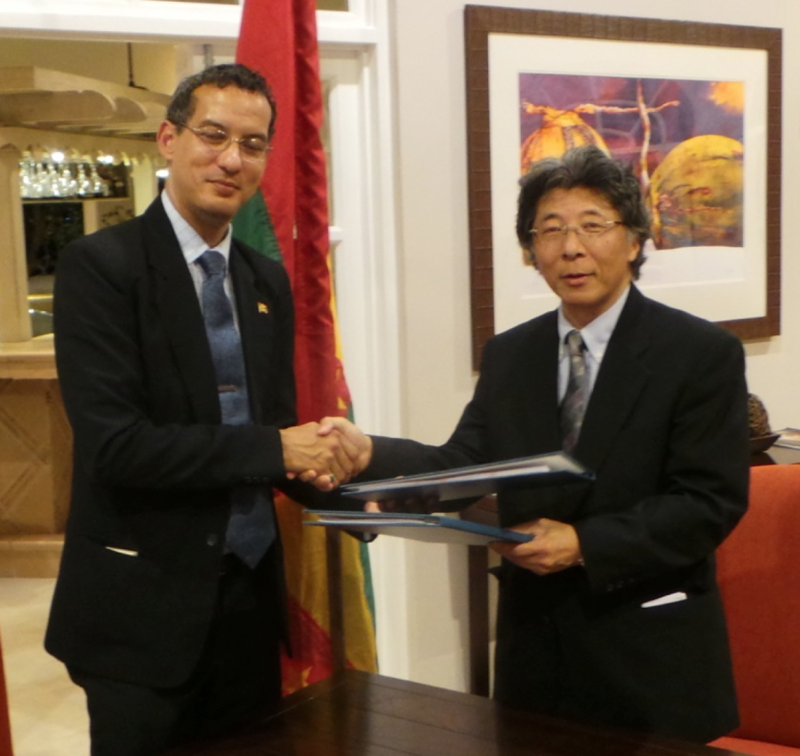 On Thursday, 6 February 2014, Minister for Foreign Affairs and International Business of Grenada, Honourable Nickolas Steele, signed an Agreement with His Excellency Yoshimasa Tezuka, Ambassador of Japan to Grenada, in the amount of two million United States Dollars for the Provision of Industrial Products to the Government of Grenada. The two million US Dollars Grant Aid is to be used to procure industrial products from Japanese companies. The list of products range from schools supplies, vocational training material, health supplies, social welfare supplies to vehicles and other heavy duty equipment. In signing the Agreement the Japanese Ambassador, His Excellency Yoshimasa Tezuka, indicated that the aim of this particular cooperation program is geared towards assisting both the Japanese manufacturing companies affected by the tsunami in 2011 and the Government of Grenada in providing equipment and supplies to various Ministries and Departments. This Agreement, therefore serves to benefit both countries in a real and tangible way. Minister Steele, in accepting the Grant Aid, thanked the Ambassador and the Government and people of Japan for their continued support to the Government and people of Grenada. “The people of Grenada have benefitted tremendously from the generosity of the Japanese Government and people over the years”, Hon. Steele said. The Minister assured the Ambassador that his Ministry will work with the other Government Ministries and Departments in finalizing the list as soon as possible to ensure that the aid is utilized according to the Agreement.